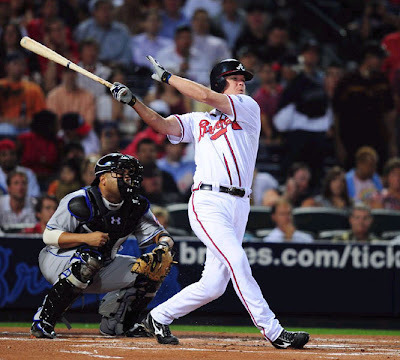 A member of the Fantasy Baseball Roundtable has secured an interview with the Atlanta Braves star third baseman, Chipper Jones. Since we always support our friends I am pointing out the interview so that you all (or y'all if you prefer) may enjoy it.The interview appears a few inches under the banner and breaking news at the top of the page. Trade Jose Reyes for Greinke, Jones, and Hill?